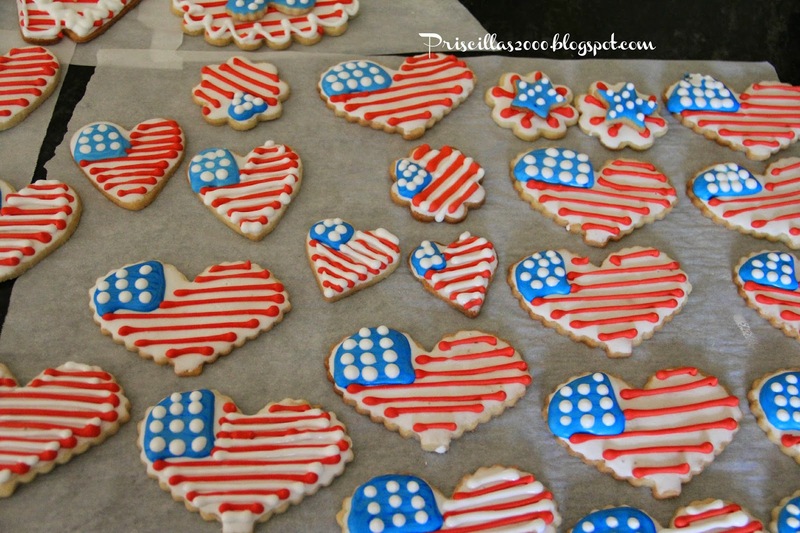 Love these colors on cookies ! 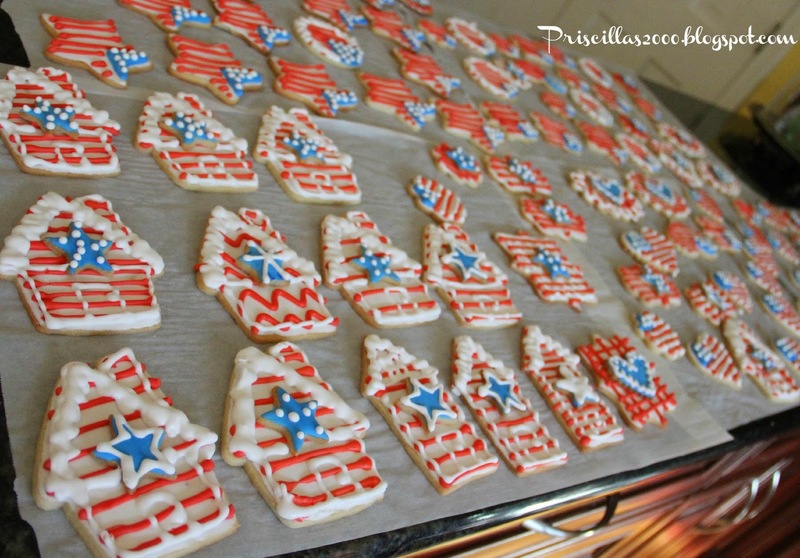 I use the Mrs. Fields sugar cookie recipe , and made 2 double batches..I use wilton merengue p[owder for the royal icing and the recipe is in the can.. 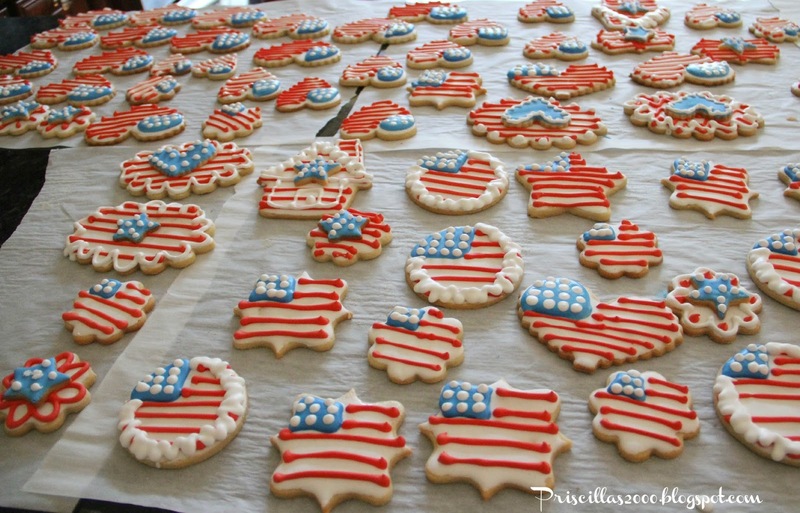 I didn't make any regular flag shapes this year , just every shape decorated as a flag..
Hope you all have a wonderful 4th of July ! Thanks so much for stopping by ! I appreciate all your visits and nice comments !Linking to these fabulous parties ! Your cookies are always just amazing. I especially like the little houses but they are all delightful!!! 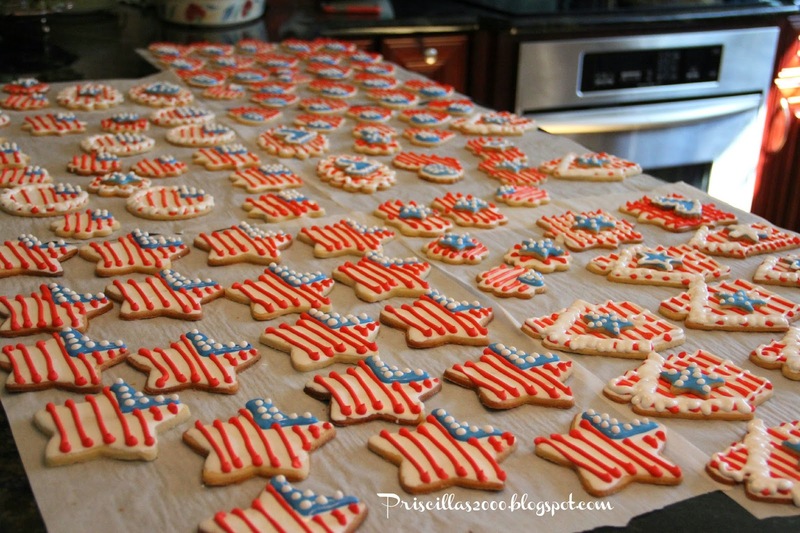 !Have a wonderful 4th of July! Wow, they look amazing! You are so talented!! Happy 4th! Wow, that's a lot of cookies! These are fabulous. Love the variety in shapes and your choice to avoid the obvious. Wonderful!! 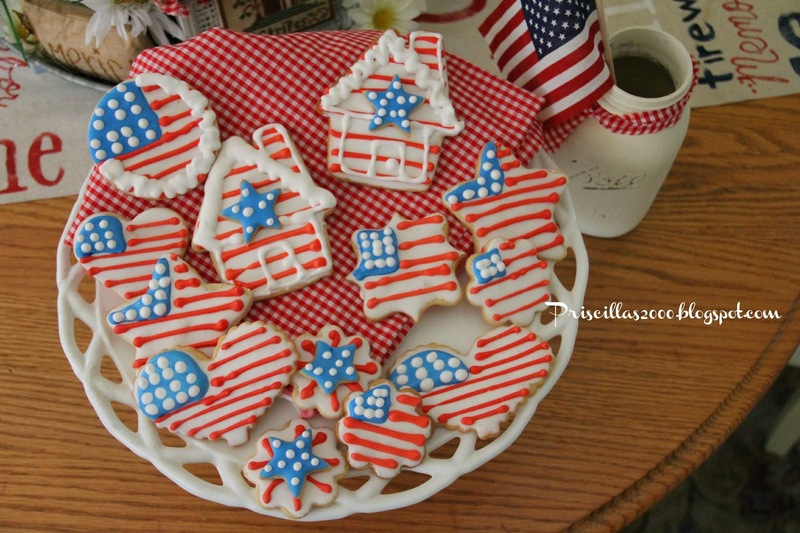 OMG!...look at these adorable cookies! 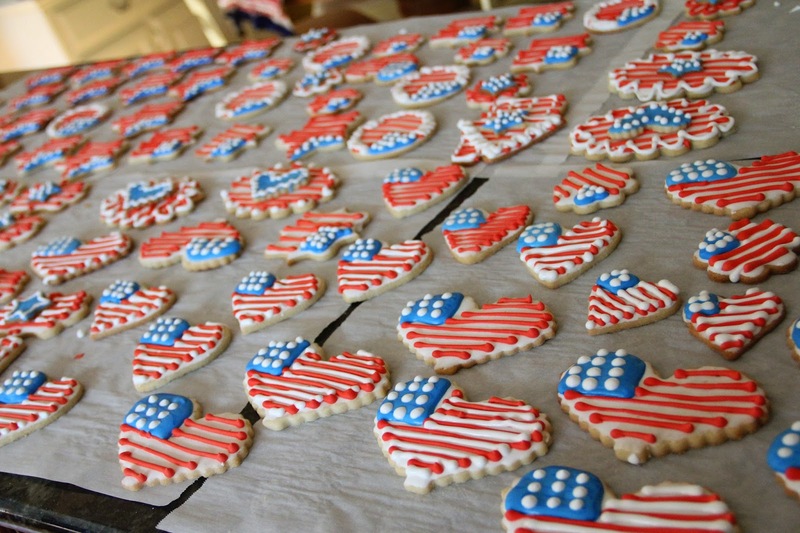 You did an amazing job and it must've taken you a lot of time decorating them; but they are so very worth it. Wish I had one of each. I love them!!! 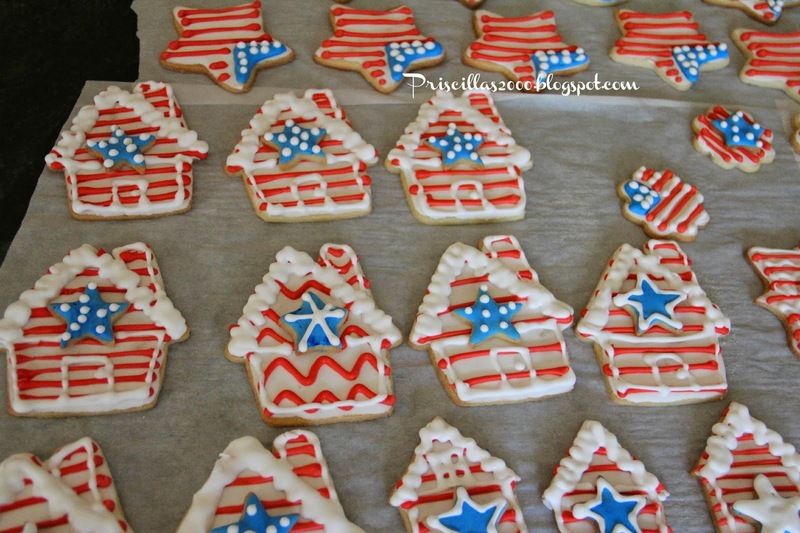 I need to drag my decorating stuff out and make cookies with the kiddos!! Have a fun 4th! We are up at the lake. All the kids are elsewhere. First time ever we have spent it without family!! 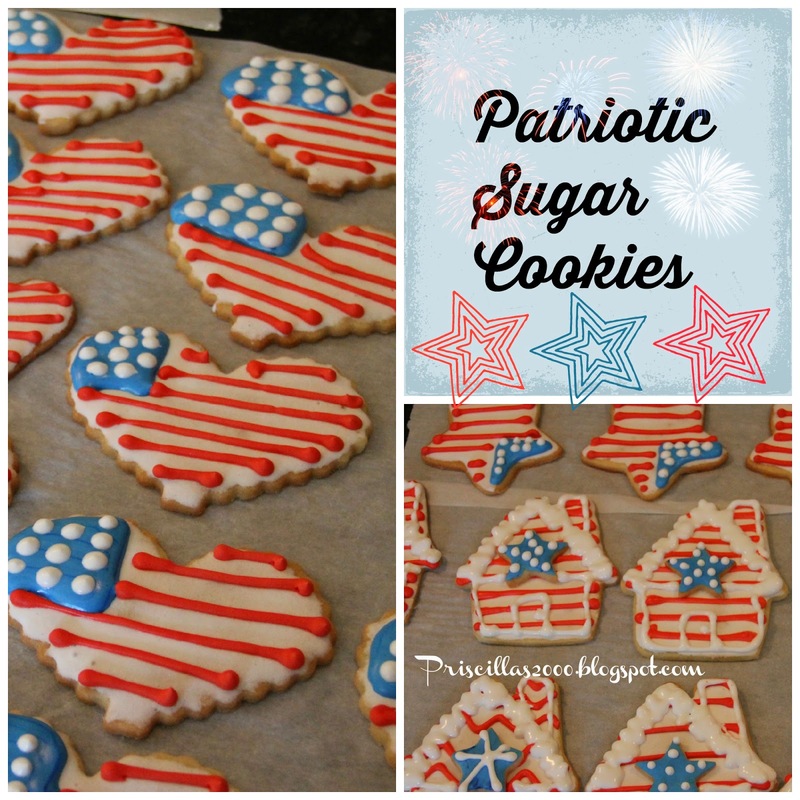 You and your sugar cookies, WOW! Thanks for sharing with SYC.